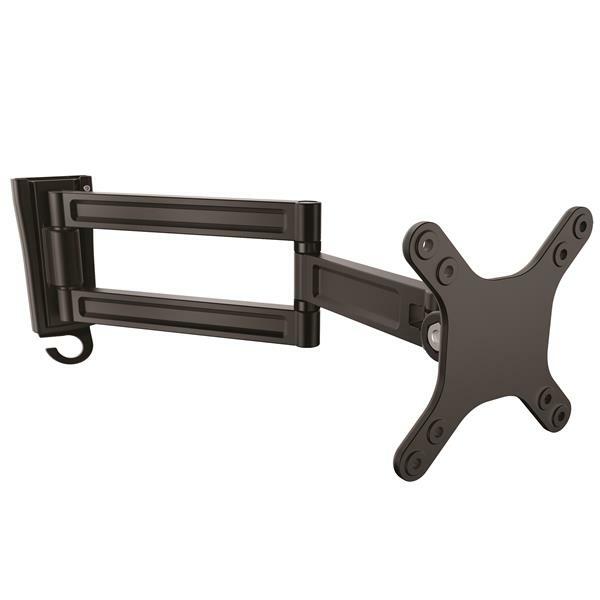 I have used this wall mount arm for a few weeks with my 24" monitor without any issues. The arm works great and was a breeze to install. The arm itself is all metal and comes packed in a box tightly with no room to spare. The box is roughly the size a Kleenex box. It comes with everything you need from screws for the wall to screws for the monitor. The bracket that screws to the wall even has a built-in level (shows how much though went into this)! 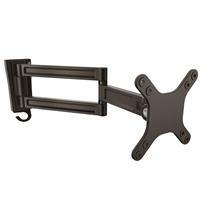 The bracket simply screws to the wall and the arm with monitor attached slides in nicely. The arm can swing out from the wall a little more than a foot and then back flat against the wall. The monitor on the end of the arm can both tilt up and down as well as rotate left and right. Adjustments can be made at every joint to tighten or loosen the movement. 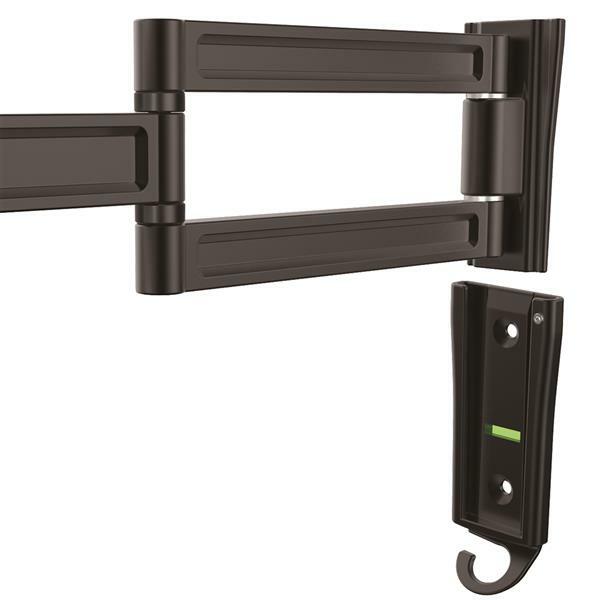 There is a hook on the wall bracket so the cables can run down the wall rather than dangling from the monitor. This arm works great and has been one of the best I have ever used. I received this product in exchange for an unbiased review. Quite simple. Never even looked at the instructions! Solid, no shaking/wiggling of the mount itself. Mounts to the wall just fine, nice and flush. Not a fan of the weak plastic wall anchors (so close together, and vertical from each other puts too much pressure when the arm is extended). So we moved it a few inches to the left and onto a stud (cosmetic, but stable!). This is NOT a fault of the mount itself, just an observation to help others avoid it pulling through any thin or compromised drywall! After inserting the arm into the wall bracket, we noticed just a bit of noise when a nearby door closed and shook the mount a bit. Added a bead of silicone to the inside groove, on the bottom, of the wall mount and the noise stopped. 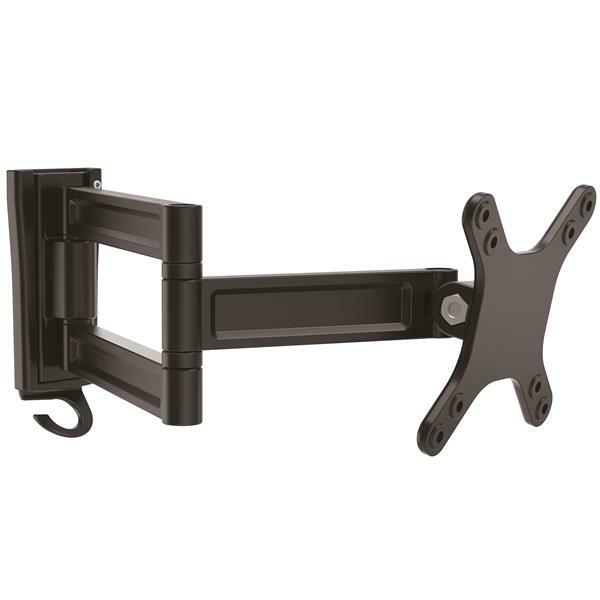 Solid mount, easy to put up. I received this product in exchange for an unbiased review. I used this wall mount in my workshop for a monitor to get it off my bench. It has no problem supporting the 23" viewsonic monitor. 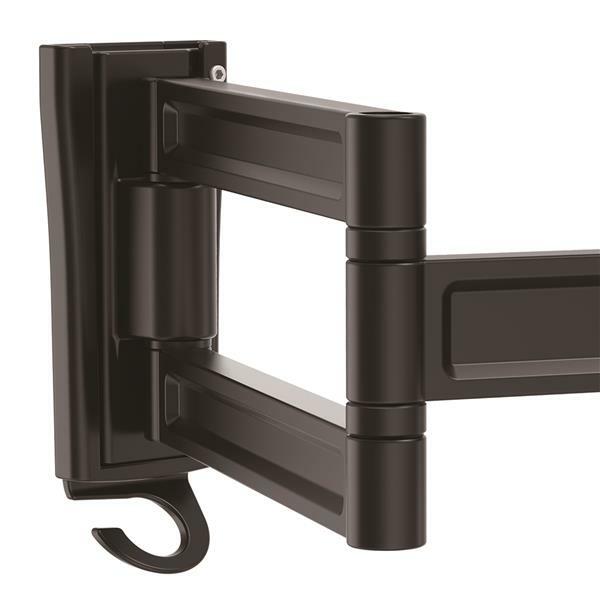 The mounting plate is really easy to use just find a stud and screw in 2 screws. It could not be easier. I would be a little careful with the weight of some monitors if you are not going into a stud. Using anchor will probably work but make sure they are high quality anchors to be safe. 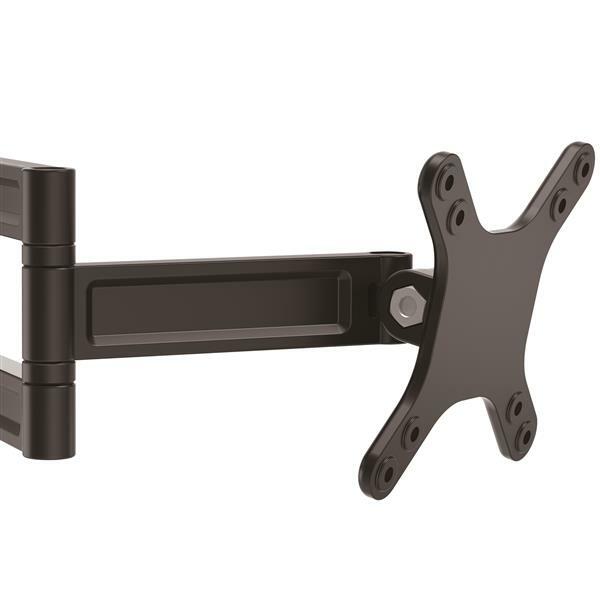 Once the mounting plate is on the wall the arm slides in and you put in a secure set screw. 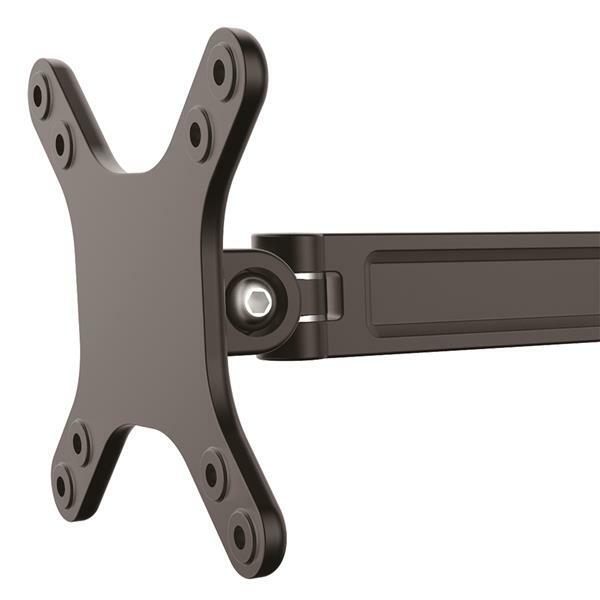 The arm is very well built and the movement is surprisingly easy, You make your adjustments with a hex key if any are needed. The unit does come with a hook for cable management which is very simple but it works. My cable kept coming out so i zip tied it to the hook. I would give this a total thumbs up for simple and solid workmanship! I received this product in exchange for an unbiased review. I have been in the technology business for over 35 years and for the past 20+ years I have been asked to provide unbiased reviews of various products from both the AV and IT world. In review of this product I have found that the device is simple to put together and once installed the dual swivel mechanism is effortless and smooth. This is also quite useful in applications where you need the monitor to be in portrait mode as the unit allows for a full 90 degree rotation. This is useful in a variety of applications such as doctor offices, or when customers need to review information with the use of an independent monitor. 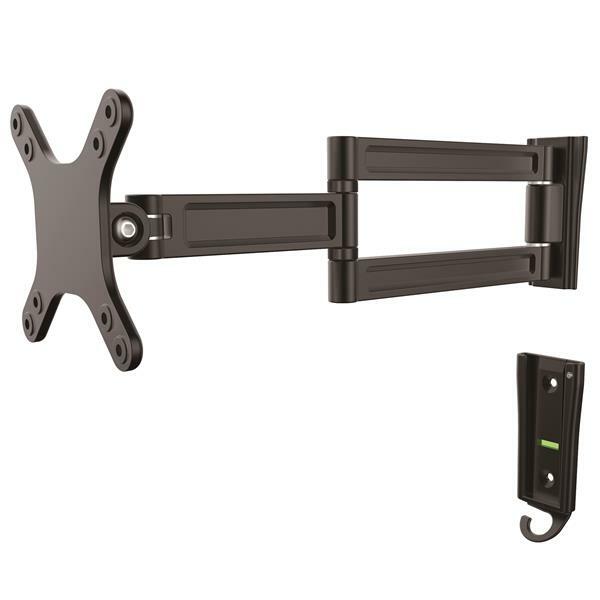 In the box: -Display Arm -Mounting Plate -Mounting Kit -Instruction Manual In summation, solid product, easy to install and effortless to adjust. I received this product in exchange for an unbiased review.